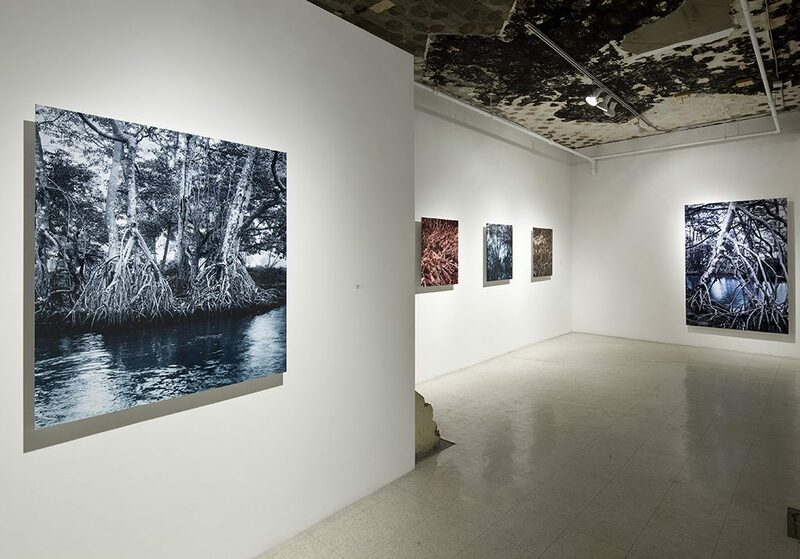 Canadian photographer Holly King’s Mangrove series is an investigation into the artist’s own subconscious. 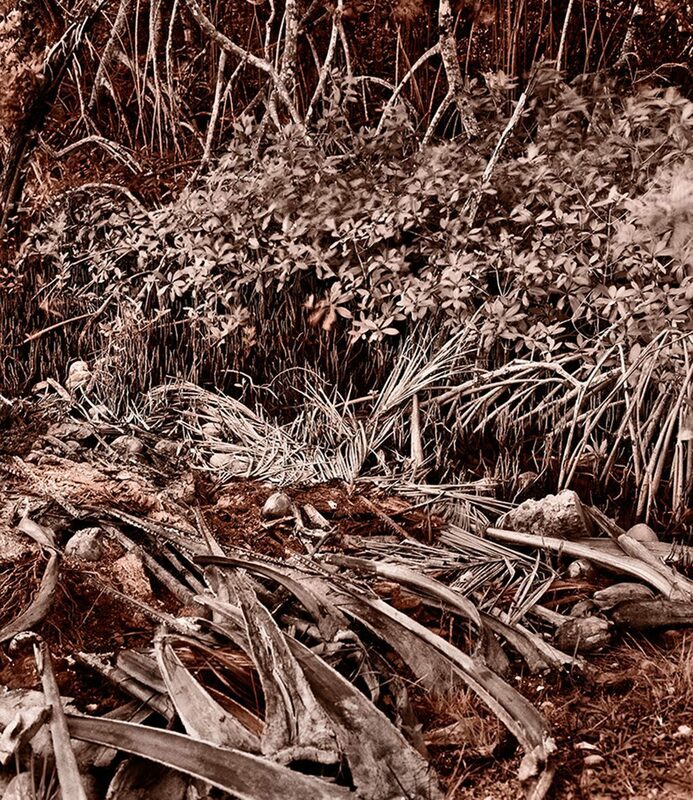 The photographs border on the uncanny, although never uncomfortably so. 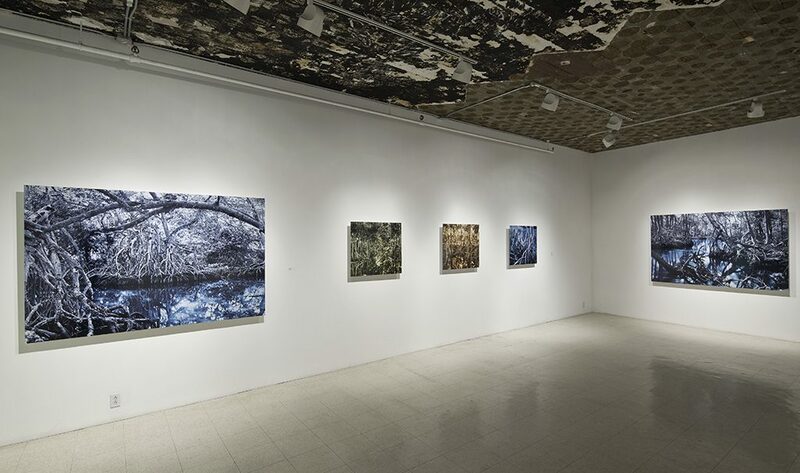 Instead, her preternatural compositions engage the viewer’s curiosity – the viewer is not sure how to approach, and yet is drawn to do so. 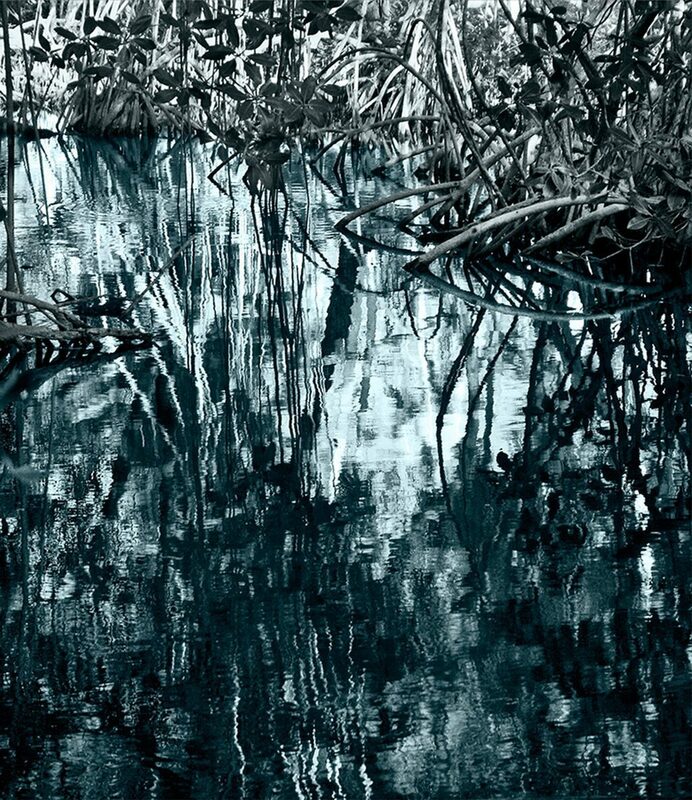 At times the images are reflective, occasionally disquieting and always thought provoking. 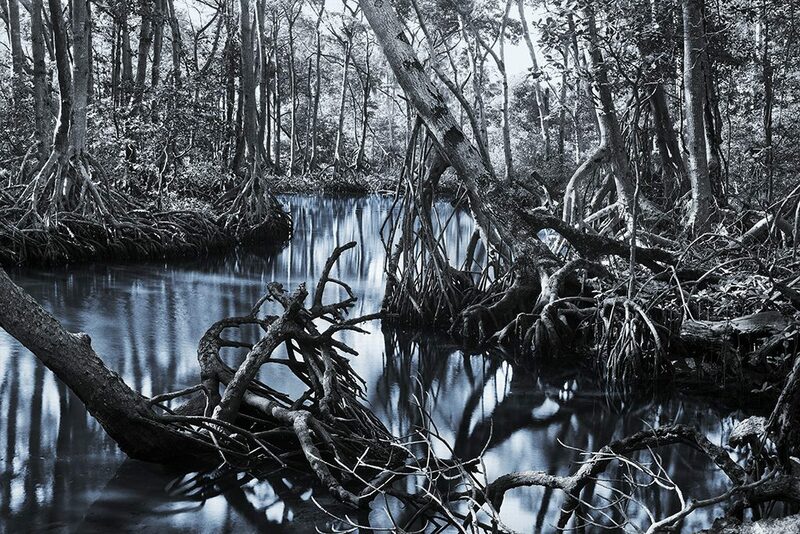 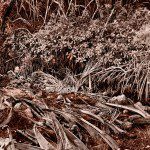 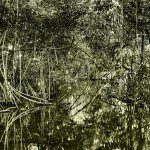 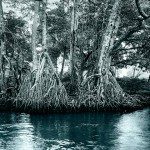 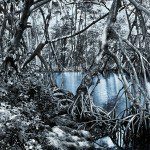 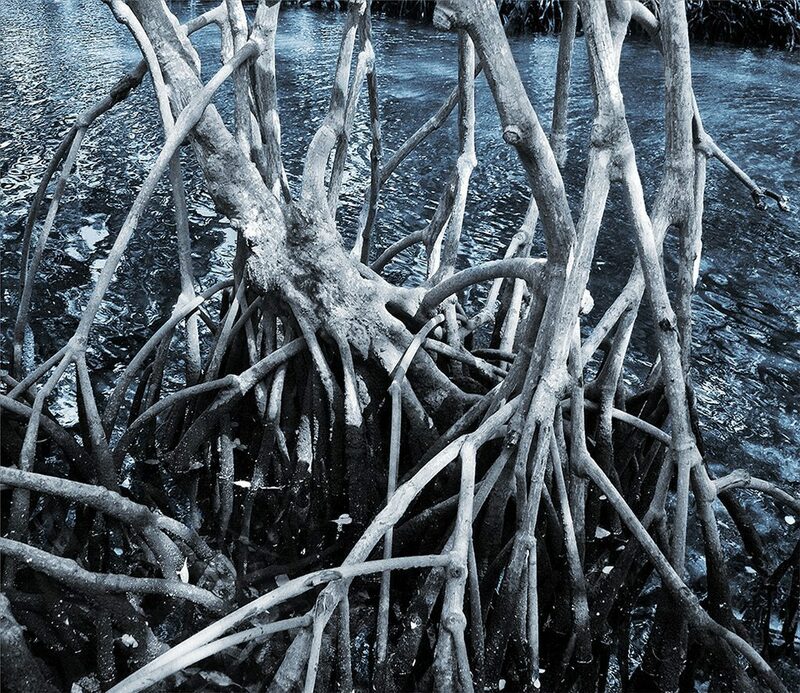 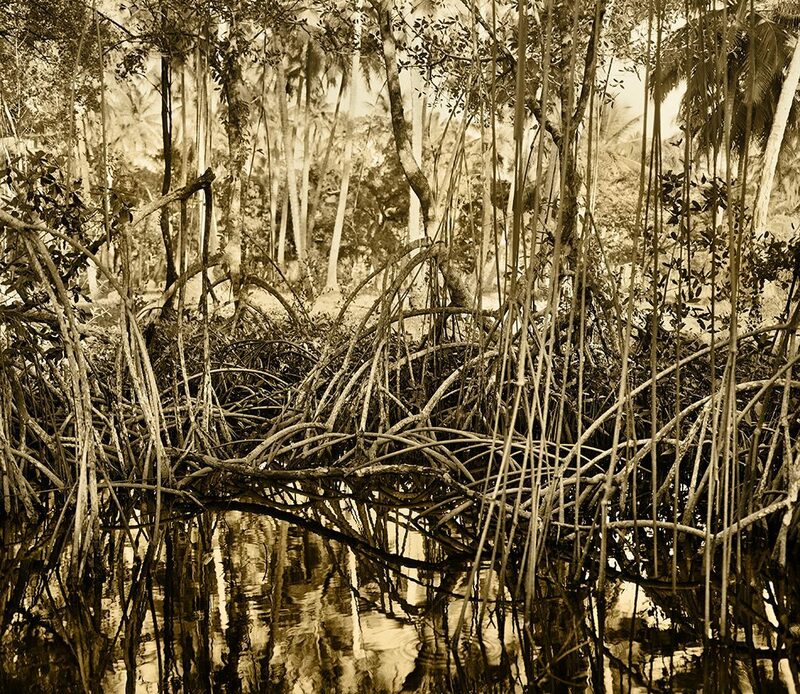 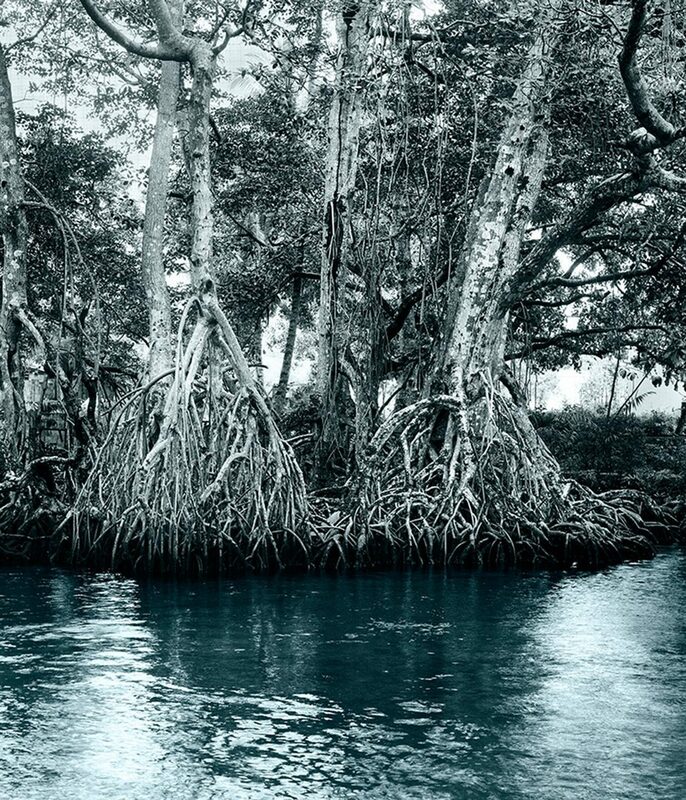 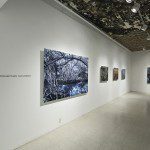 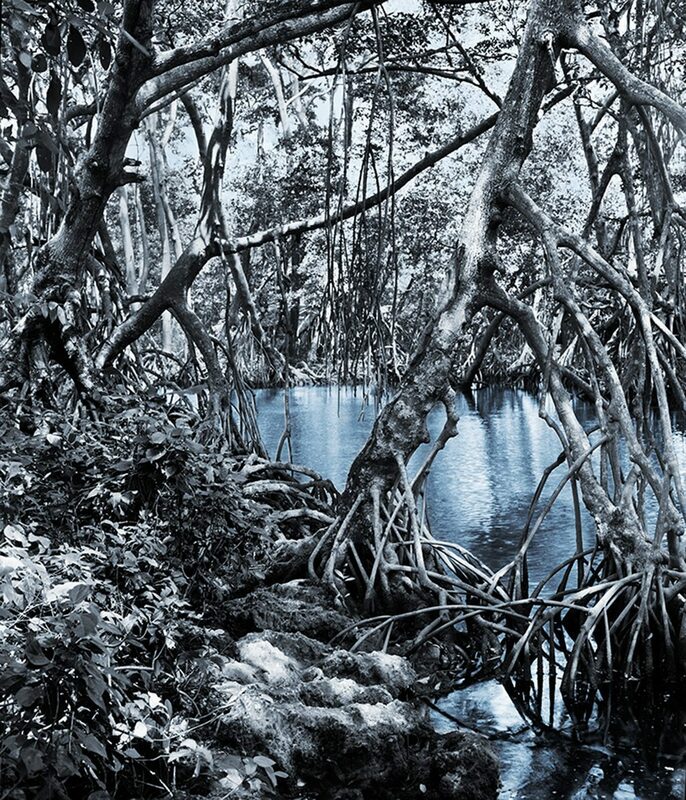 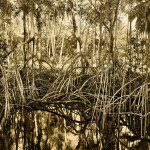 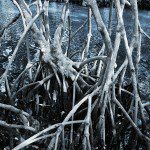 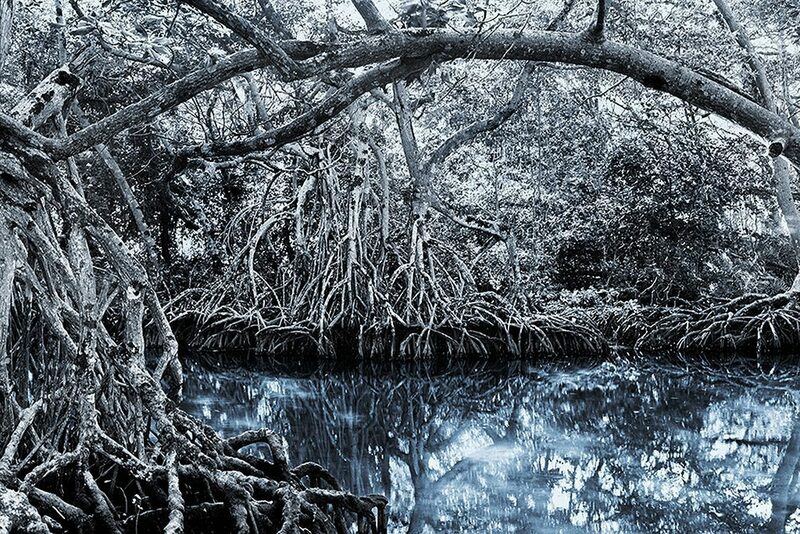 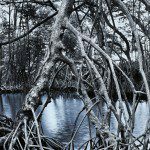 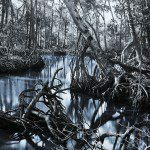 The twisted roots of the mangrove forests that form the base of this series provide an entry point for an investigation into the shadowy parts of the artist’s imagination. 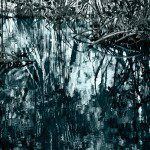 The differences between what we know to be real and what we perceive as real are often slight. 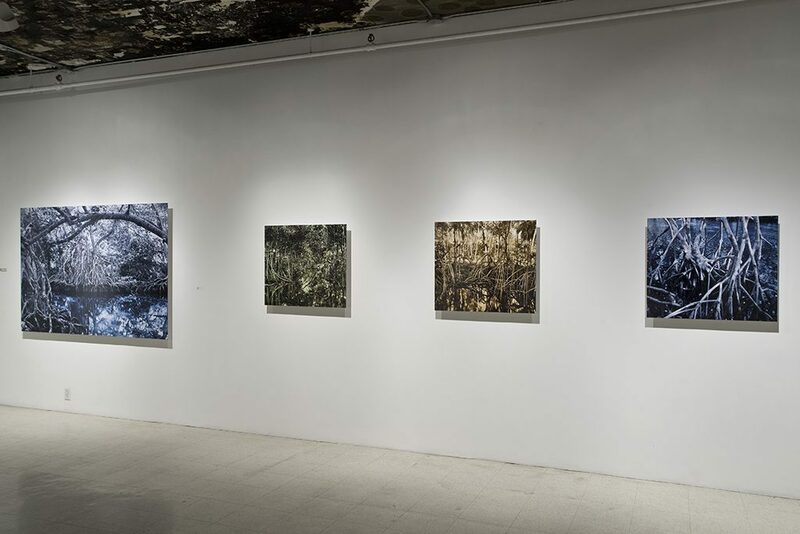 The work of Holly King stems from an attempt to prevail over the uncharted territory of both her imagination and that which is perceived as true. 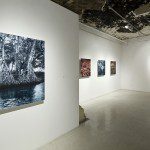 In her creations, King endeavours to understand her subconscious mindscape as manifested through photographs recalling actual landscapes. 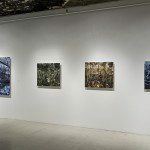 This new series, stemming from earlier pieces also focused on roots, reflects King’s interest in drawing, in the linear subject and in geometric abstraction. 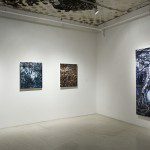 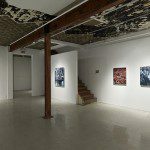 It is a move away from previous series – despite the photographic medium in which King works, her oeuvre has contained a certain painterly quality. 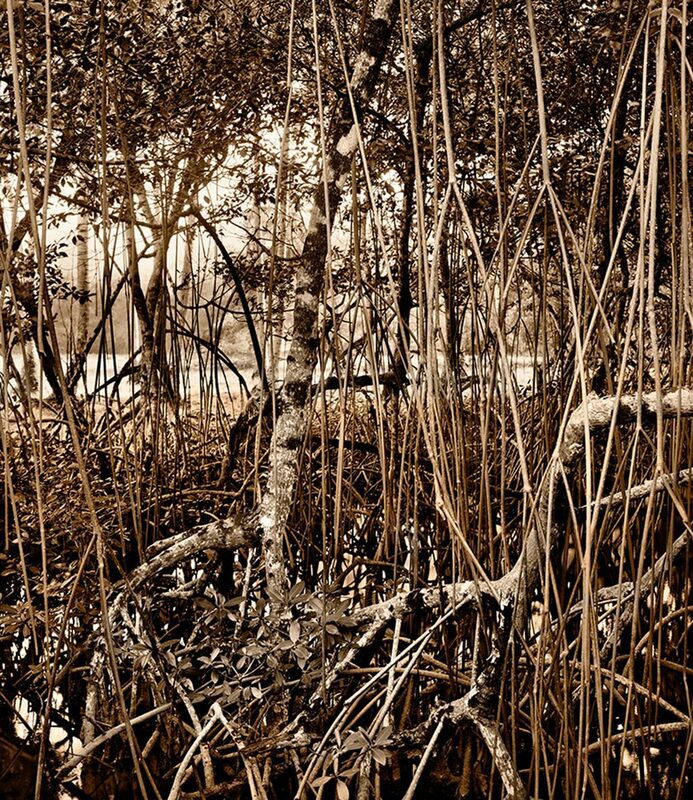 These new photographs tend to melt into themselves, drawing the viewer in and letting the imagination drift. 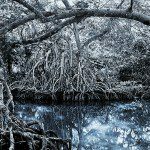 The Mangrove series causes the viewer to approach with at a slower pace, to investigate deeply into the darker nooks and crannies and to attempt to find reason within a work that so clearly plays with our understanding of real and imaginary. 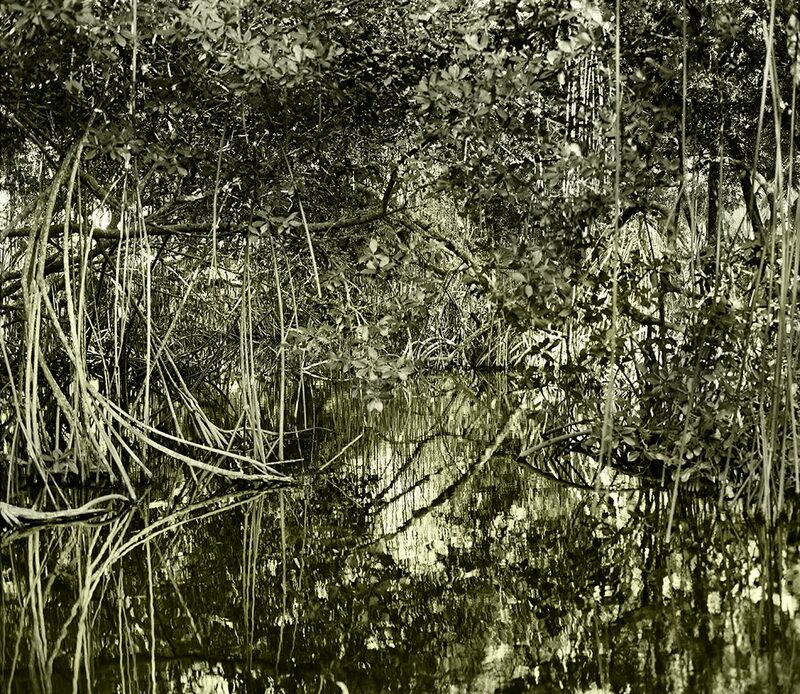 Nothing is incidental in King’s photographs, yet it is not always manipulated. 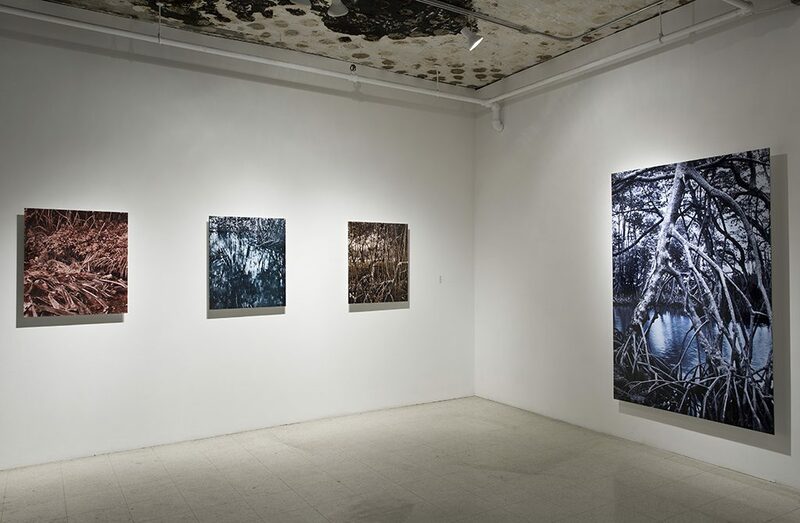 King’s process often involves the use of maquettes – not digital manipulation of the images – creating an eerily surreal image that seem both familiar and strange. 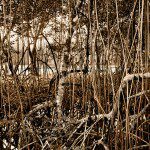 Her photos go beyond setting up the angle and vantage point of the shot; they force us to try to see things as the artist does by their very nature. 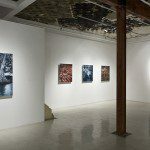 In her own way, King follows in the footsteps of other notable Canadian landscape artists: the artist forces her viewpoint onto the images, overcoming the landscape’s subject and revealing something more about the artist then perhaps intended. 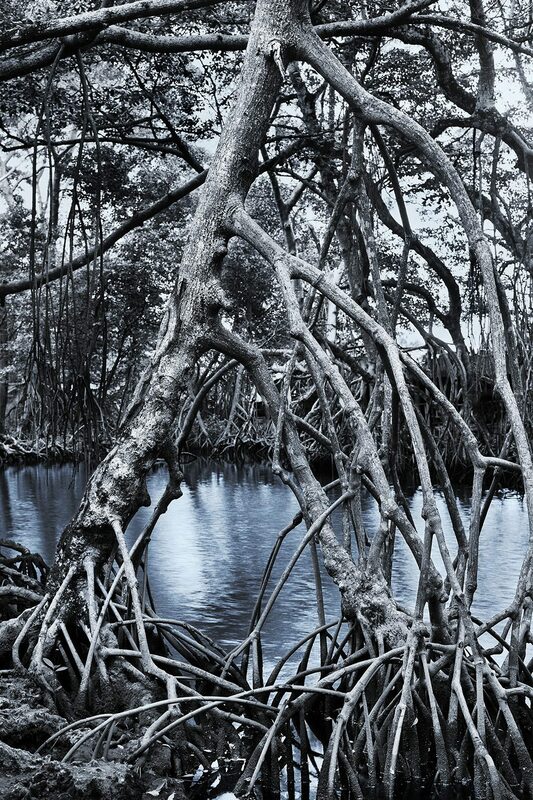 The near perfection of the natural lines and shapes of the mangrove forest provide an entry point for King to contemplate her subconscious thoughts. 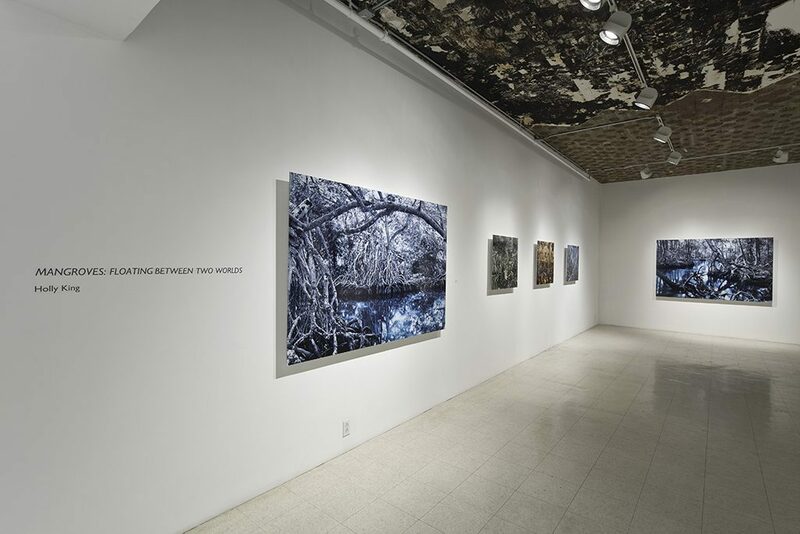 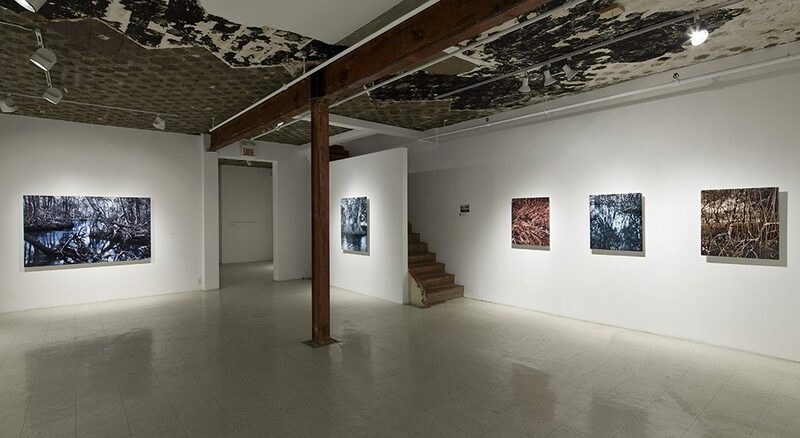 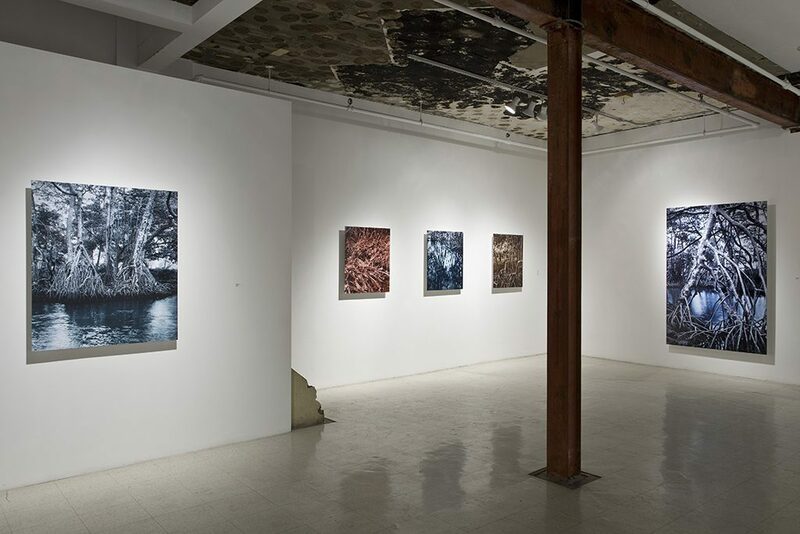 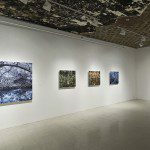 Equally as important, the series provides an opportunity for the viewer to ponder their own imagined realities.